A Women’s Health piece warns readers against “fake” news. 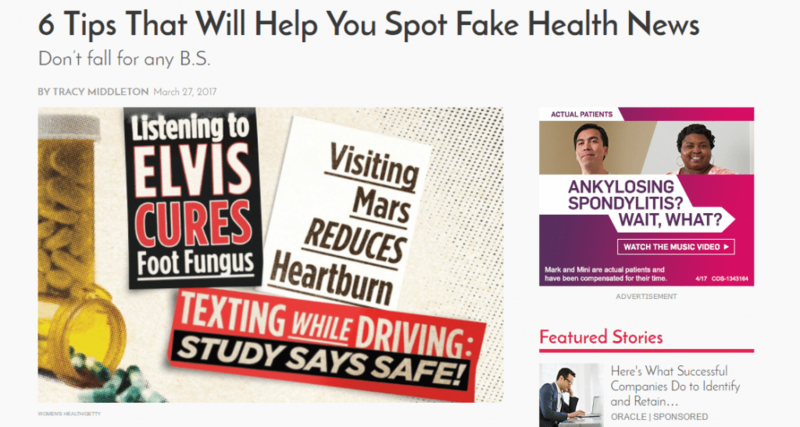 Last week, US News & World Report ran a piece, Medical News: Real or Fake? that cataloged a series of reader-beware items, including internet ads for “miracle cures” and other potentially bogus products. News sites, readers are warned, may carry exaggerated claims and don’t receive the same level of fact-checking as in the good old days. Readers of the story won’t have to go far to learn just how careful they need to be. A quick scan of other US News health stories presents some prime examples of practices that we find problematic. “Caffeine Can Kill: the Dangers of Energy Drinks” This is classic fear-mongering. Yes, a teen died earlier in the month after consuming a trio of caffeine containing drinks, but the risk of dying from energy drinks is ridiculously low, as this Vox story explains (but which US News neglected to mention). “Can Lumbar Support Devices Relieve Lower Back Pain?” In our review of this story, we noted that the article claims the answer is yes, and yet the study it’s based on concluded that there’s no proof braces relieve back pain. In addition, the study was not peer-reviewed, which means it fails the “reputable source” benchmark identified in the fake news advice. “Having 1 Daily Drink Boosts Your Cancer Risk” This headline makes the mistake of implying cause and effect to a scientifically established association. It also neglects to frame the risk numbers in terms that readers can make sense of. We applaud any effort to educate and inform readers, and we’re not suggesting that US News is in the business of publishing “fake” news, which implies an intent to deceive readers. But some of their content clearly is not very thoroughly vetted. And as publisher Gary Schwitzer has pointed out, it is these incomplete, poorly researched stories that may well be the bigger problem for readers compared with outright “fake” stories. U.S. News is hardly alone among news outlets that need to take a careful look in the mirror. Earlier this year, Women’s Health ran a piece, “Six Tips That Will Help You Spot Fake News.” The advice, delivered in easy-to-digest listicle format common to glossy consumer magazines, is spot-on. Too bad it’s from a magazine that publishes a whole lot of click-bait health journalism. “How Often Should I Really Be Peeing?” This ventures into fear-mongering territory, suggesting to readers that they may be peeing too much or too little, so they’d better read the article to find out why that’s bad. “14 Women Explain Why They Love Their Male Gynos” with the subheading, “I’m just going to say it: He’s smoking hot.” I’ll put this one up against one of Women’s Health’s tips for spotting fake news, that the language of real news should be informational, not emotional. An article on the benefits of male doctors for women’s health care may well have merit, but we agree with fake news listicle — the article should appeal to the reader’s brain not her feelings. 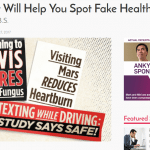 Best Health Magazine in Canada, part of the Reader’s Digest empire, offered up this helpful take, “How to Spot Fake Health News,” an excerpt of a book by William Davis, a medical doctor. 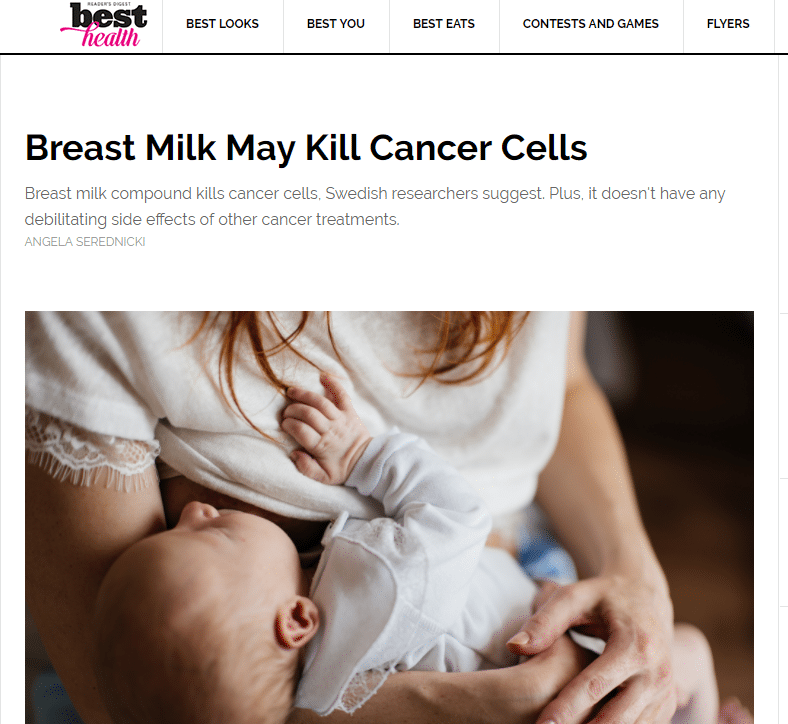 “Breast Milk May Kill Cancer Cells” An entirely uncritical look at unpublished early phase trial that claims breast milk “cures cancer.” I followed Dr. Davis’s advice and looked up the study on PubMed, but could only find studies done in animal models of bladder cancer. The team here at HealthNewsReview.org is always happy to see other media outlets call for evidence-based health journalism. Of course we are — that’s what we’re about. We believe our criteria for evaluating health news stories can be used by anyone to be a more critical reader of health news and a better informed consumer of health advice. 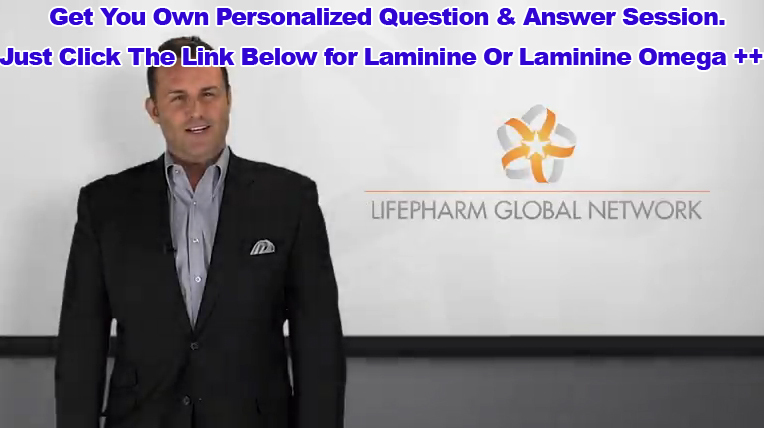 We don’t hesitate to call out health news articles for poor sourcing, confusing associations for cause-and-effect, sensational headlines, or fear-mongering. And as we critique others, you’d better believe we’re super vigilant to not wade into the same muck. We want to model what we see as responsible health journalism. We want to do as we say. We wish others would do the same.